Surprise! 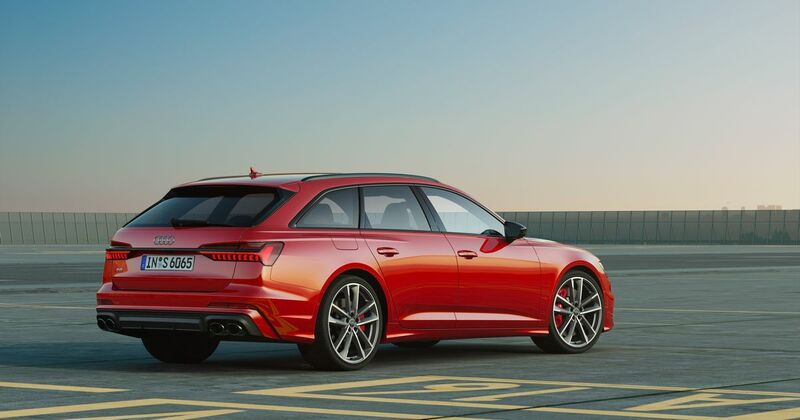 Audi’s latest batch of S models, the S6 saloon, S6 Avant and S7 Sportback are all powered by the same V6 diesel engine. Yep, despite buyers abandoning oil-burners in droves, Audi has opted to make the trio of cars TDIs. Unless, that is, you’re buying one outside of Europe. The S6s and S7s sold in the USA, Asia and the Middle East will instead use a 2.9-litre turbocharged petrol V6 kicking out 444bhp and 442.5lb ft of torque, mirroring what Audi has done with the diesel/petrol versions of the SQ5. As for the diesel we’re getting over here, it produces 342bhp and 516lb ft of torque. It gets the same clever electric compressor as the SQ5, which works together with a more conventional turbocharger. 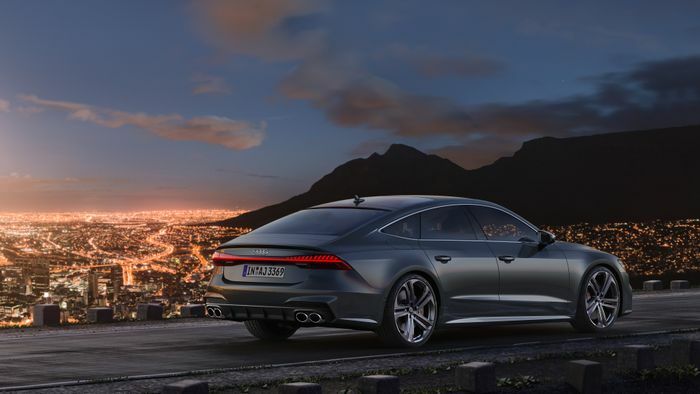 Powered by the S6/S7’s 48-volt mild hybrid system, it spins up to 70,000rpm and “supports the TDI’s turbocharger whenever there is insufficient energy in the exhaust gas for a spontaneous torque buildup,” for instance when you’re booting it at low revs. It’s able to respond to your demands in under a quarter of a second. 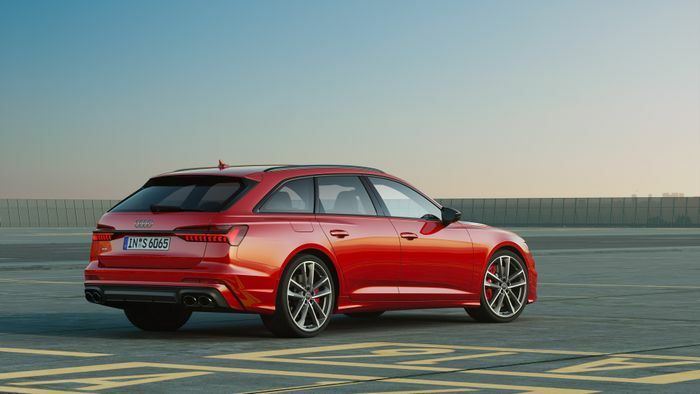 The S6 saloon is the quickest of the bunch, dispatching the benchmark 0-62mph dash in five seconds dead, with the Avant and the S7 a tenth behind. All cars top out at the expected 155mph mark thanks to an electronic limiter. 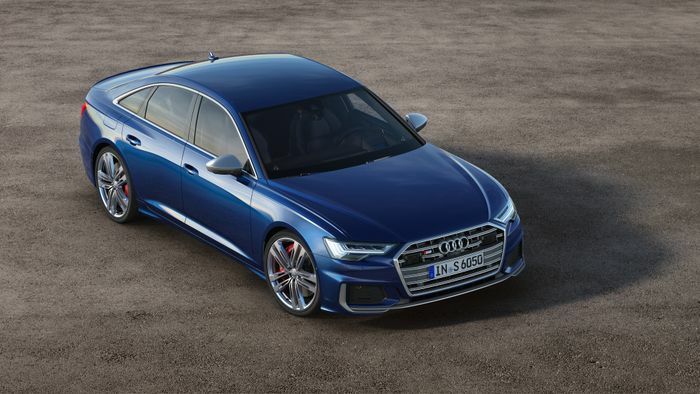 You get adaptive air suspension as standard, which lowers the S7 by 10mm, and the S6 by 20. Also fitted is a progressive steering rack - the greater your steering input, the tighter the ratio. The all-wheel drive system has a standard 40:60 torque split, but under certain conditions, it’s able to chuck as much as 85 per cent to the rear wheels, or 70 per cent to the front. To further improve it in the chuckability stakes, there’s also an all-wheel steering setup that turns the rear wheels five degrees in the opposite direction to the fronts up to 37.3mph, or two degrees in the same direction at any speed over that. Each of the new S cars gets an angrier front end, a new diffuser insert at the rear, and the trademark quad tailpipe arrangement. 20-inch wheels nicely fill each arch, although if you’d rather, 21s are available optionally. The cabin features “designer loft” aesthetic, whatever that means. You can have the seats trimmed in either leather alone or a mix of leather and Alcantara, with black, gray and red colour schemes available. S badges are - inevitably - liberally spread around the space. Want one? 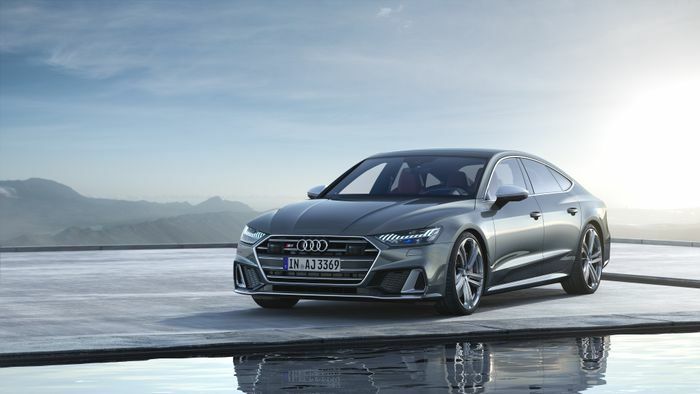 It’ll be arriving in Europe this summer, costing (in Germany) €76,500 for the S6 saloon, €79,000 for the Avant, and €82,750 for the S7.